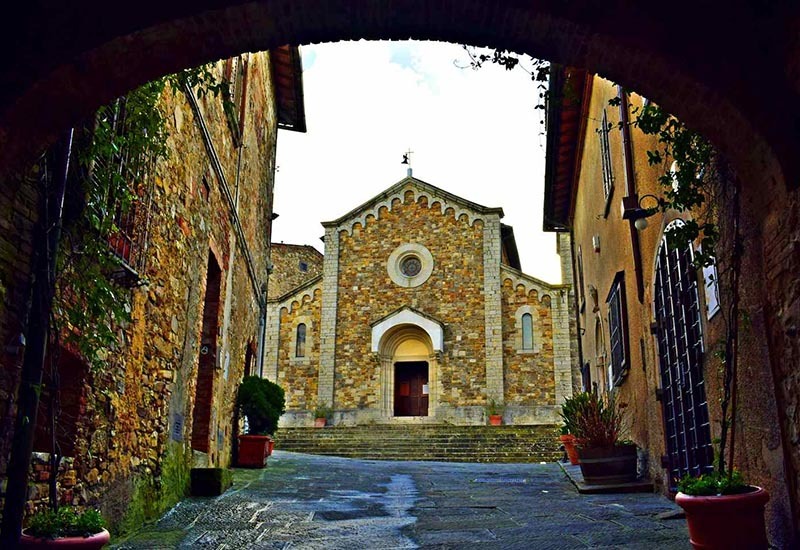 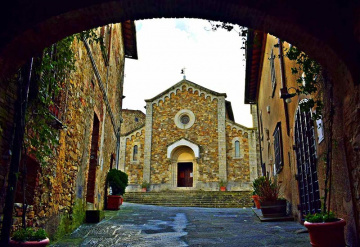 The small town of Castellina in Chianti has preserved many treasures of Italian art and architecture. 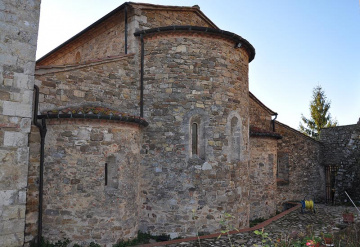 Amongst the many forms of religious architecture, we point out the Church of San Salvatore in Castellina, of medieval origin, embellished by modern structures in a neo-Romanesque style and the Pieve of Sant'Agnese, boasting testimonies dating back to 1046. The current building, with three naves divided by square pillars and the same number of apses, was largely reconstructed following damage sustained during the last war. The Fortress of Castellina is a robust construction which dominates the main square. 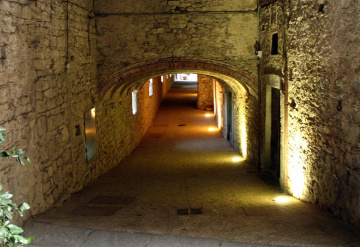 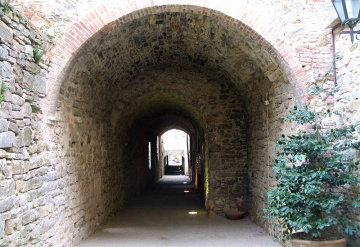 The Fortress has been the site for the Archaeological Museum of the Chianti area that belongs to Siena since 2006. 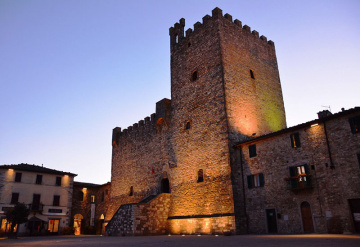 The museum, created using innovative technology, illustrates the history of the ancient landscapes of the entire Chianti territory.